One-floor luxury in a 50+ community is what you can expect by local builder Michael Barshinger Builder/Developer, Inc. We offer open room plans with prices starting in the $140s. Homes consist of a two-car garage, two bedrooms, and two full bathrooms. 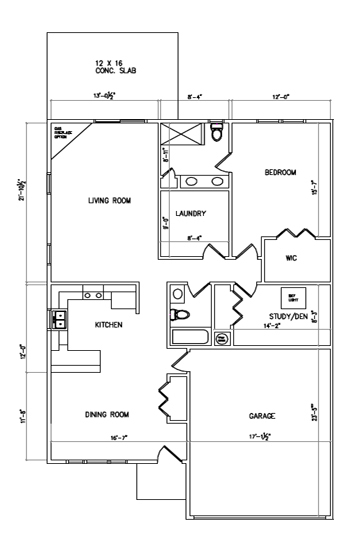 Walk-out basement units are available for the option of a third bedroom and bathroom on the lower level. Each unit is finished with your choice of quality cabinetry, kitchen appliances, countertops, and flooring to fit your decor. We also offer our custom services for your special needs as well as building a home you've been dreaming about for years. Condominium fee of $95/month takes care of grounds maintenance, snow removal, building repairs, and insurance on the building and grounds. Open house is held every Wednesday and Sunday from 1:00 pm - 3:00 pm, or by appointment. Please select a room for detailed images.